As written about for almost an entire decade, scientists are now recognizing that a solar cycle-driven global cooling period has begun, and it could last as long as two-hundred years. The simple fact is that climate change, as an agenda, was already on the way out, along with Obama, the Democrats, and the now uncovered climate change funding ideology, which sought to fraudulently affect worldwide financial systems changes, and draconian controls, by virtue of changing climate cycles. While the global climate cultists will continue their efforts in earnest, what they’ve predicted and what has actually happened, with the world’s temperatures, will simply be too much for them to overcome. They will argue that we’re seeing record low temperatures due to climate change, however, no one has forgotten that climate change is merely a revisioned way of saying global warming, and the globalists will not be able to escape this simple fact. 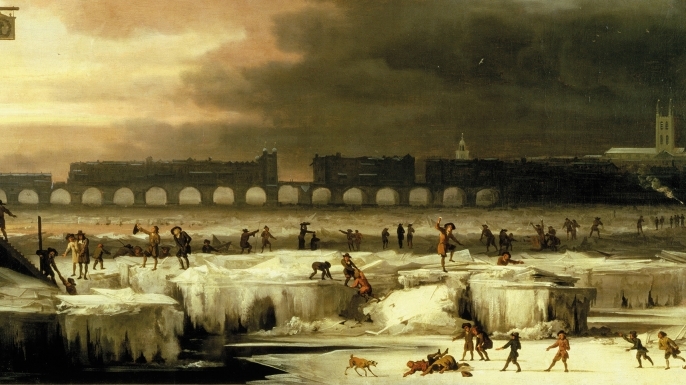 Colder winters began regularly freezing rivers and canals in Great Britain, the Netherlands and Northern France, with both the Thames in London and the Seine in Paris frozen solid annually. The first River Thames Frost Fair was held in 1607. In 1607-1608, early European settlers in North America reported ice persisting on Lake Superior until June. In January 1658, a Swedish army marched across the ice to invade Copenhagen. By the end of the 17th century, famines had spread from northern France, across Norway and Sweden, to Finland and Estonia. Reflecting its global scope, evidence of the Little Ice Age appears in the Southern Hemisphere as well. Sediment cores from Lake Malawi in southern Africa show colder weather from 1570 to 1820. A 3,000-year temperature reconstruction based on varying rates of stalagmite growth in a cave in South Africa also indicates a colder period from 1500 to 1800. A 1997 study comparing West Antarctic ice cores with the results of the Greenland Ice Sheet Project Two (GISP2) indicate a global Little Ice Age affecting the two ice sheets in tandem. Ice cores from the Andes mountains in South America show a colder period from 1600 to 1800. Tree ring data from Patagonia in South America show cold periods from 1270 to 1380 and from 1520 to 1670. Spanish explorers noted the expansion of the San Rafael Glacier in Chile from 1675 to 1766, which continued into the 19th century. Those ocean temperature cycles and the continued recovery from the Little Ice Age are primarily why global temperatures rose from 1915 until 1945 when CO2 emissions were much lower than in recent years. The change to a cold ocean temperature cycle, primarily the PDO, is the main reason that global temperatures declined from 1945 until the late 1970s, despite the soaring CO2 emissions during that time from the postwar industrialization spreading across the globe. The 20 to 30-year ocean temperature cycles turned back to warm from the late 1970s until the late 1990s, which is the primary reason that global temperatures warmed during this period. But that warming ended 15 years ago, and global temperatures have stopped increasing since then, if not actually cooled, even though global CO2 emissions have soared over this period. As The Economist magazine reported in March, “The world added roughly 100 billion tonnes of carbon to the atmosphere between 2000 and 2010. That is about a quarter of all the CO2 put there by humanity since 1750.” Yet, still no warming during that time. That is because the CO2 greenhouse effect is weak and marginal compared to natural causes of global temperature changes. "Jesus Christ is coming soon. I say it is a trumpet," a YouTube user named "Believer John Seventeen" posted. Another user agreed. "Christ shall return. If you know Him, then you know His warnings — every eye shall hear and every ear shall hear," posted "Roger Dat." "Be not afraid for you are saved by faith in Jesus. Repent and turn from wickedness. The price was paid at Calvary and as He was risen, so shall His disciples be." "Unusual and unexplained noises are recorded in various locations around the world from time to time," Snippins News added. "While the specific origins of all such sounds may not yet be known, most scientific research points to natural causes such as tidal waves, methane explosions, underground earthquakes, or shifting sand dunes as explanations for these aural phenomena." Even so, the YouTube channel remarked that "USGS scientist David Hill says it's also possible some of these noises originate from above." Multiple users asked to share the video on their own YouTube channels, one with an alien focus. "Can we share this video on our Secureteam UFO channel with full credit and link back to your channel?" the alien-focused Secureteam YouTube channel posted. Another user, perhaps joking, merely commented, "Godzilla." User Jeff Suttles twisted the End Times angle into a Trump joke. 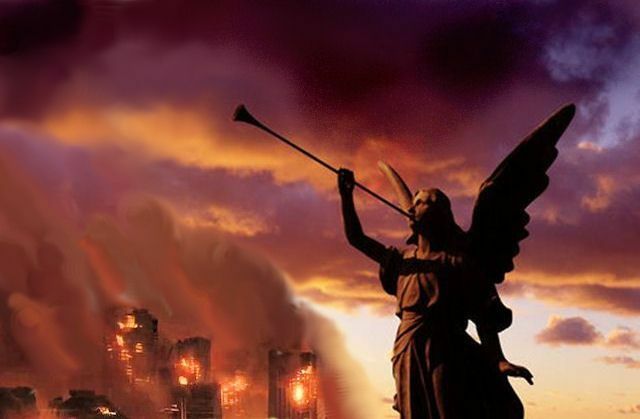 "Heaven is trying to influence the outcome of the 2020 election by blowing trumpets," he wrote. "I say that Donald is colluding with heaven. Time to call for a special counsel [sic] and impose sanctions." Many have attributed to the fact that the biblically prophesied "Image of the Beast" in modern times, may refer to an all-knowing AI deity created by man in order to take benevolent global control, which in turn, ends up wreaking havoc and tyranny over the Earth. 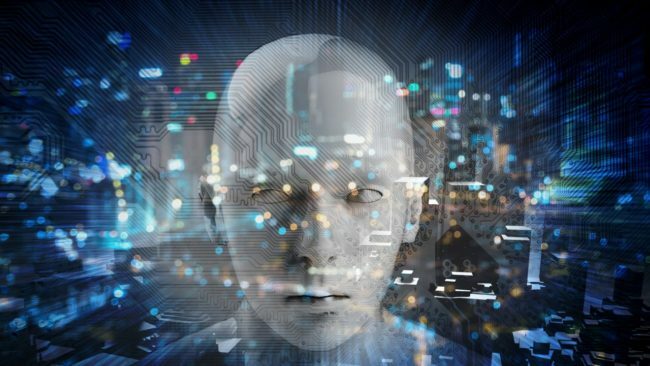 Now, some of the world's greatest scientific minds, not necessarily religious, by the way, are foretelling of the possibility that man would turn to Artificial Intelligence as a more beneficial way of governing mankind. "And he had power to give life to the image of the beast, that the image of the beast should both speak, and cause that as many as would not worship the image of the beast should be killed." We are rapidly headed toward digital superintelligence that far exceeds any human, I think it's pretty obvious," Musk said in a new AI documentary called "Do You Trust This Computer?" directed by Chris Paine (who interviewed Musk previously for the documentary "Who Killed The Electric Car?"). "If one company or a small group of people manages to develop godlike digital super-intelligence, they could take over the world." "If AI has a goal and humanity just happens to be in the way, it will destroy humanity as a matter of course without even thinking about it. No hard feelings," Musk said. "It's just like if we're building a road, and an anthill happens to be in the way. We don't hate ants, we're just building a road. So, goodbye, anthill." Those who follow news from the Musk-verse will not be surprised by his opinions in the new documentary; the tech mogul has long been a vocal critic of unchecked artificial intelligence. In 2014, Musk called AI humanity's "biggest existential threat," and in 2015, he joined a handful of other tech luminaries and researchers, including Stephen Hawking, to urge the United Nations to ban killer robots. He has said unregulated AI poses "vastly more risk than North Korea" and proposed starting some sort of federal oversight program to monitor the technology's growth. "Do You Trust This Computer?" 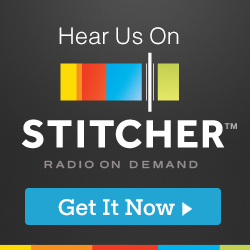 focuses on the growing public health and safety concerns linked to the rise of AI, and contains interviews with many other tech moguls, researchers and Erica the creepy news-casting robot. The documentary is available to watch for free here until Sunday (April 8). Interestingly, Brennan Gilmore, the man whom the lawsuit was filed on behalf of, operates as a foreign service officer at the US State Department & also counter-protested at Charlottesville. 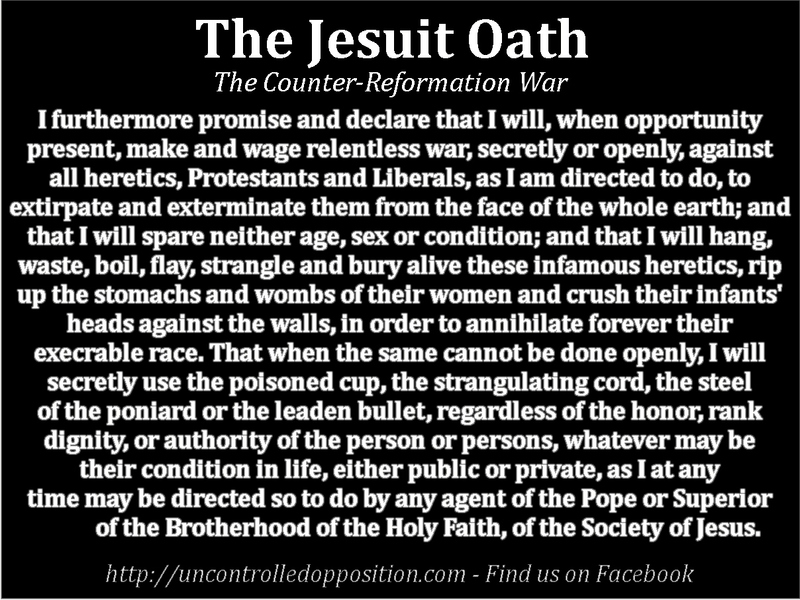 What's truly chilling is the fact that the Jesuits have now declared war on Alex Jones, and Pope Francis is the first Jesuit Pope; one who rails on behalf of globalism and a one-world church. A counterprotester at the deadly white supremacist rally last year in Charlottesville, Va., is suing the media outlet Infowars, its owner Alex Jones and seven others for defamation. Georgetown Law’s Civil Rights Clinic filed the lawsuit Tuesday in the U.S. District Court for the Western District of Virginia on behalf of Brennan Gilmore, who alleges that Alex Jones and other far-right supporters, including former Rep. Allen West (R-Fla.), published stories about him that damaged his reputation and mobilized an army of followers to pursue a campaign of harassment and threats against him. Gilmore argues he became the target of elaborate online conspiracies that placed him at the center of a “deep-state” plot to stage the Charlottesville attack and destabilize the Trump administration after he posted a video he captured on Twitter of the car attack that killed Heather Heyer and injured 36 others. “From Sandy Hook to ‘Pizzagate’ to Charlottesville, Las Vegas and now Parkland, the defendants thrive by inciting devastating real-world consequences with the propaganda and lies they publish as ‘news,’” Gilmore said in a statement. In addition to Jones, the lawsuit was filed against Infowars’s operating company, Free Speech System; Infowars reporter Lee Ann McAdoo; Lee Stranahan, a reporter who has appeared in an Infowars video and has worked at Sputnik and Breitbart News; Jim Hoft, the author of the blog Gateway Pundit; West, who operates the website www.allenwest.com; Derrick Wilburn, author of a defamatory article about Gilmore on www.allenwest.com; and Scott Creighton, operator of the blog American Everyman. When contacted for comment, Infowars sent The Hill a link to Monday’s episode of Jones’s show in which he said the lawsuit is full of misrepresentations and argues that Infowars and free speech are under attack. “Fake quotes of articles that don’t exist, fake headlines of videos that don’t exist,” he said. Jones went on to say he's honored to be persecuted. Is it science or is it religion? If we don't do something now, we'll be consumed by fire in a virtual hell on earth, and it will be the unbelievers' fault. If ever you've wondered what happened to old-time religion, it seems you don't have to look very far, these days. 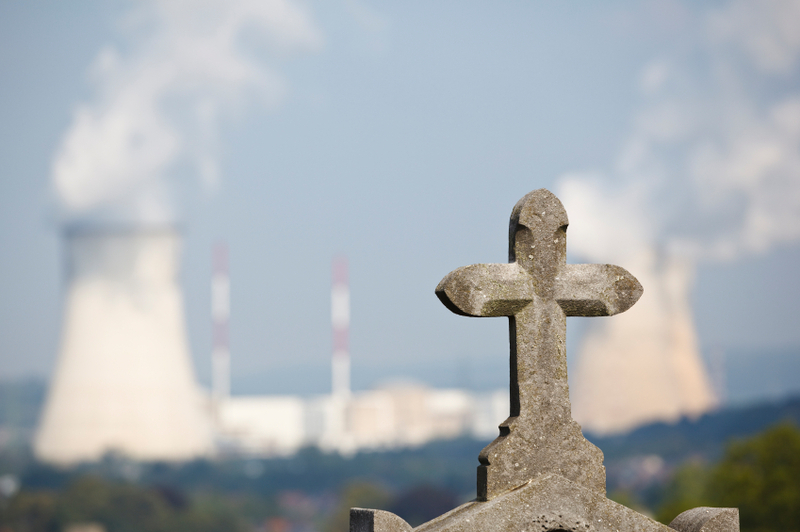 The cult-of-Climate Change is now the new age "old-time religion" of the modern-day, and it's filled with fiery, government-report-thumping disciples wielding loosely transcripted pseudo-scientific reports as if chiseled by the Almighty, himself. The climate change commandments are brought down to us from a mythic, storm-ravaged, mountain of false data located somewhere in Switzerland, and loosely referred to as the IPCC (Intergovernmental Panel on Climate Change). The devotees of this particular faith are nothing if not brain-washed alter-poppets yearning to be free from the Lucifer they now commonly refer to as modern industry and capitalism. The Messiah of this newly constituted faith comes to us in the form of a legion of government bureaucrats, struggling to make "settled science fiction" known to all man, and quickly before it's much too late. Their gospel is a collection of graphs and "customized" thermodynamic data which only they, the Pharisees and deacons of statism, can accurately disseminate to the uncleansed and unknowing masses. WASHINGTON A federal judge in San Francisco has ordered parties in a landmark global warming lawsuit to hold what could be the first-ever U.S. court hearing on the science of climate change. Experts on both sides say Alsup’s call for a climate change “tutorial” is unlike anything they’ve heard of before. 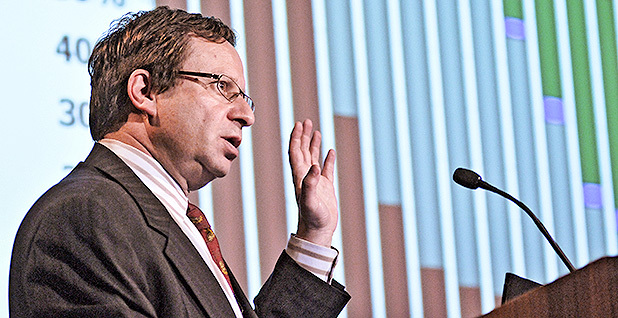 “I don’t know of any judge who has asked for a tutorial like this,” said Steven E. Koonin, a physicist and former Energy Department undersecretary known for his contrarian views on global warming research. “I think it is a great idea. In the five-hour hearing, both the cities and the oil companies will have a chance to present Alsup with their views on the history of climate change science, and the most important recent findings in the field. Alsup ordered the tutorial as part of his ruling last week that the San Francisco and Oakland lawsuit would be heard in federal court, as opposed to California state court. The cities had hoped their lawsuit would be heard in state court since California has an established “public nuisance” law that hasn’t been developed in the federal court system. But the judge didn’t completely rule in the industry’s favor. His ruling created the possibility that oil companies could be liable under federal common law for causing a “nuisance.” Environmentalists applauded that part of his ruling, as well as his decision to hold the March 21 tutorial. Alsup, appointed to the bench by former President Bill Clinton, has a reputation for immersing himself in the technicalities of legal cases. He famously taught himself the Java programming language in deciding a lawsuit that pitted Silicon Valley giants Oracle against Google. More recently, he asked lawyers for a tutorial on self-driving car technology in a lawsuit that pits Google’s Waymo against Uber. In the upcoming climate change tutorial, Alsup told lawyers he wants a two-part presentation from both sides over roughly five hours. “The first part will trace the history of scientific study of climate change, beginning with a scientific inquiry into the formation and melting of the ice ages, periods of historical cooling and warming, smog, ozone, nuclear winter, volcanoes, and global warming. Each side will have sixty minutes,” the judge wrote in his order. “The second part will set forth the best science now available on global warming, glacier melt, sea rise, and coastal flooding. Each side will again have another sixty minutes,” he added. Science has been on trial before, most famously in the “Scope’s Monkey Trial,” the 1925 legal case on the teaching of evolution. 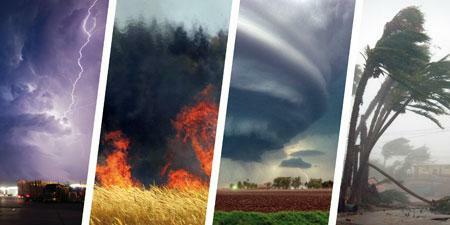 But it is unlikely the March 21 tutorial will be a pure debate on global climate change. 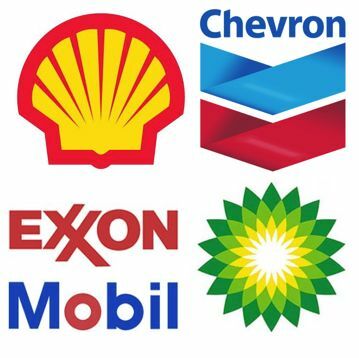 Exxon and other oil companies have already stated that “the risk of climate change is clear and the risk warrants action.” The oil industry has mostly accepted scientific findings that increasing carbon emissions are warming the atmosphere. Instead, the hearing and ongoing trial will focus more on who knew what, when, and what they did in response. “At the core of the plaintiff’s lawsuit is the idea that these companies have long known about risks of their products ... yet they took a course of action that resisted regulation and sought to keep them on the market as long as possible,” said Burger, the Columbia climate law expert. By contrast, the fossil fuels companies will likely emphasize the uncertainty that existed as climate science evolved, and how they needed “to act in the best interests of their shareholders,” given the uncertainty, he added. Koonin,[above] who worked for two years in the Obama administration and now teaches at New York University, has long called for a public debate on climate change science. While he agrees that human-caused carbon dioxide has warmed the atmosphere, he takes issue with some computer models about future impacts and disagrees with calls for drastic changes in energy use. Writing in the Wall Street Journal last year, Koonin called for a “Red Team/Blue Team” process to debate and test assumptions and conclusions about climate change. That idea was picked up by EPA Administrator Scott Pruitt, a close ally of the fossil fuel industry, who proposed the same thing for his agency, an idea he has apparently put on hold. Koonin said any federal debate about climate change should involve all the government’s science agencies, not just EPA. He doesn’t think the U.S. District Court tutorial will substitute for a full public debate, but it could help air some key areas of dispute, he said. He also expects there will be high public interest in the March 21 court hearing.